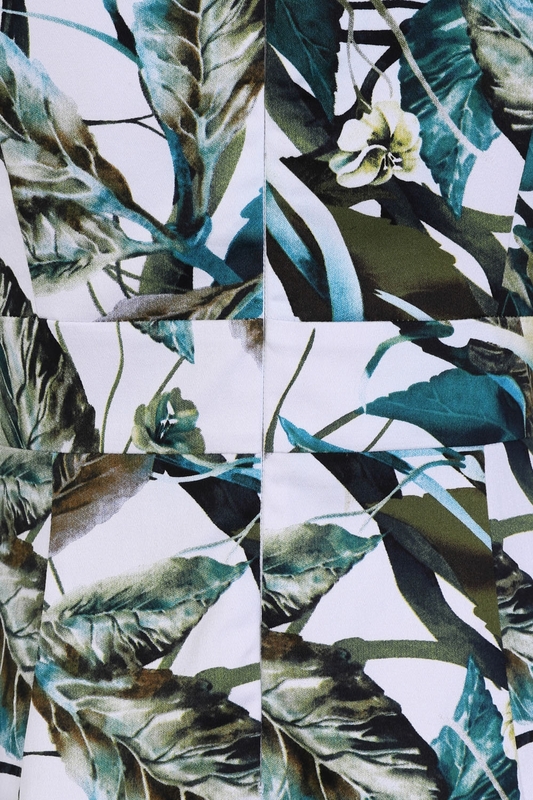 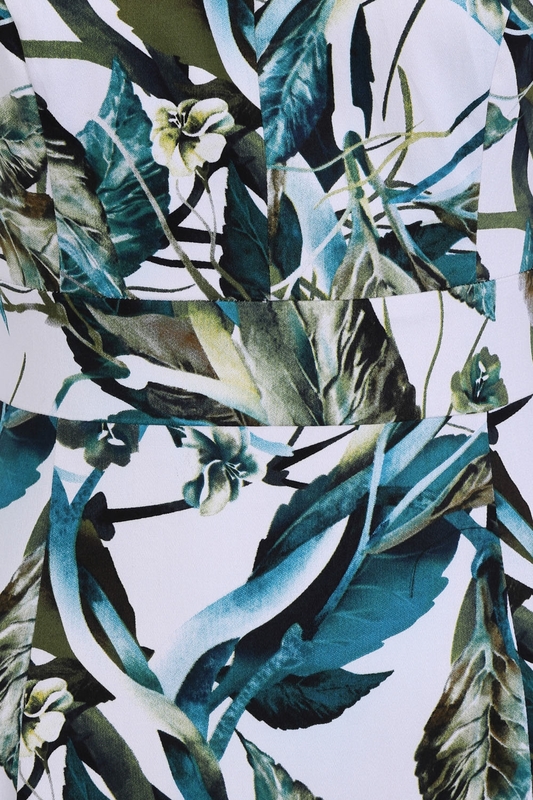 Let The Leaves Dance In Our New Floral Printed Design, Featuring An Array Of Green And Turquoise Blue Leaves, Set On A Mellow Tropical Theme. 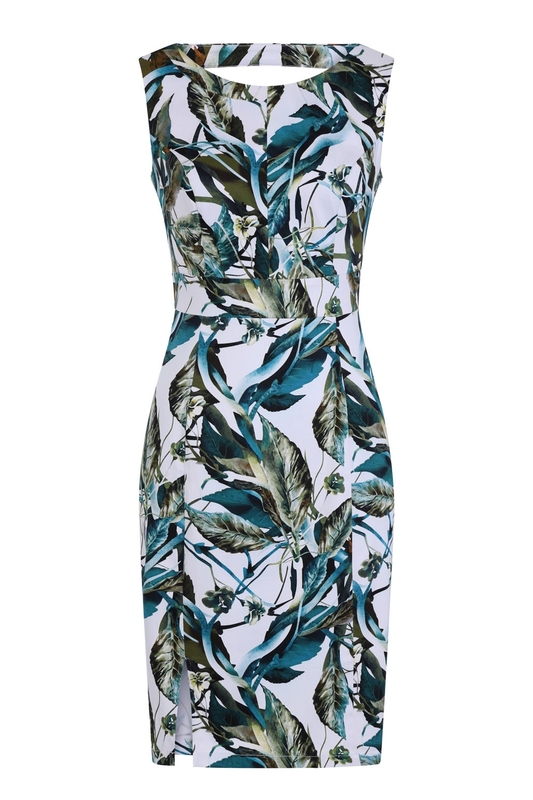 Fabricated On A Lovely Soft Stretchy Cotton Blend, We Bring To You The Newest Addition To Our Wiggle Dresses, Featuring A V Cut Out At The Back And An Asymmetrical Neckline With A Pleating Detail Situated Just On The Left-hand Side As Worn. 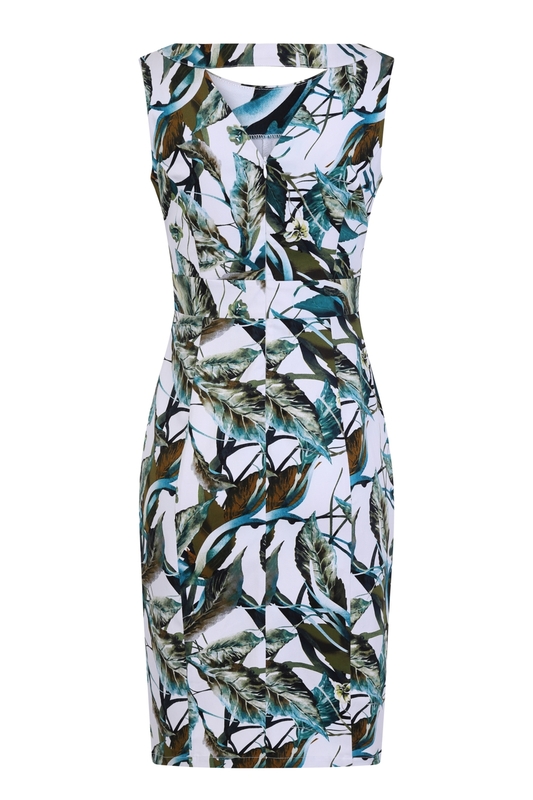 While The Sunny Season Is Here, Why Not Flaunt Those Legs And Curves In Our New Stunning Fitted Dress.